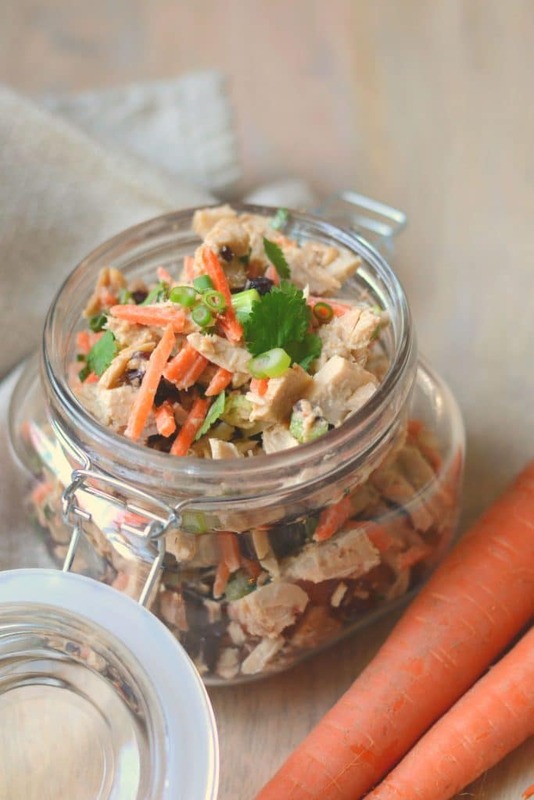 This delicious and healthy tuna salad recipe is based on my favorite post-workout snack from the cafe at Lifetime Fitness. It’s light, protein-rich, and packed with flavor (and a little bit of spice). 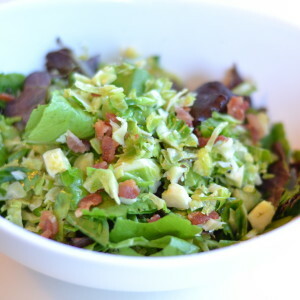 It’s a unique departure from run-of-the-mill tuna salad, and it makes a fantastic lunch or light bite. One of my favorite ways to experiment in the kitchen is to try recreating things I’ve loved at restaurants or cafes. My latest project was the Healthy Tuna Salad from the cafe at Lifetime Fitness. I’ve always liked tuna salad, but typical tuna salads have consisted of mixing canned tuna with mayonnaise, and possibly adding some chopped hardboiled egg if I was feeling extra motivated. When I had the albacore tuna salad at the LifeCafe, however, my mind was blown. 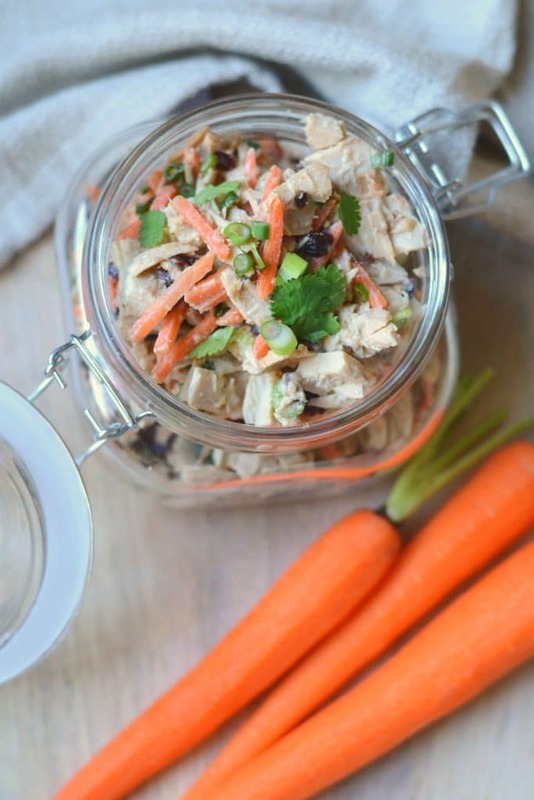 It is SO full of flavor, has a great blend of textures from the craisins, green onion, and shredded carrot, and it has the perfect amount of spice. 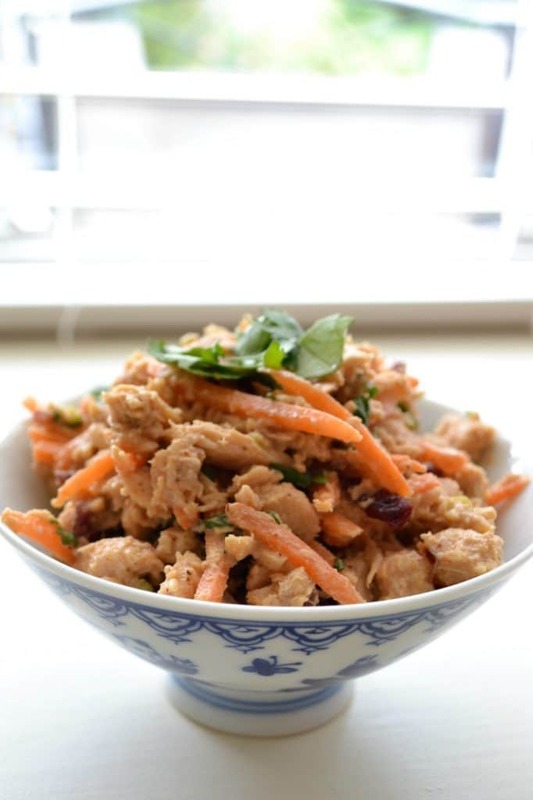 Aside from its tremendous flavor, I love this tuna salad because it is so versatile. You can eat it in a wrap or tortilla, tossed with cold Asian noodles, or served over greens. It’s also great recipe to make over the weekend and keep in the fridge to snack on throughout the week. 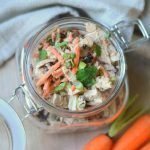 If you like Asian flavors and a little bit of spice, this tuna salad will become your new best friend! 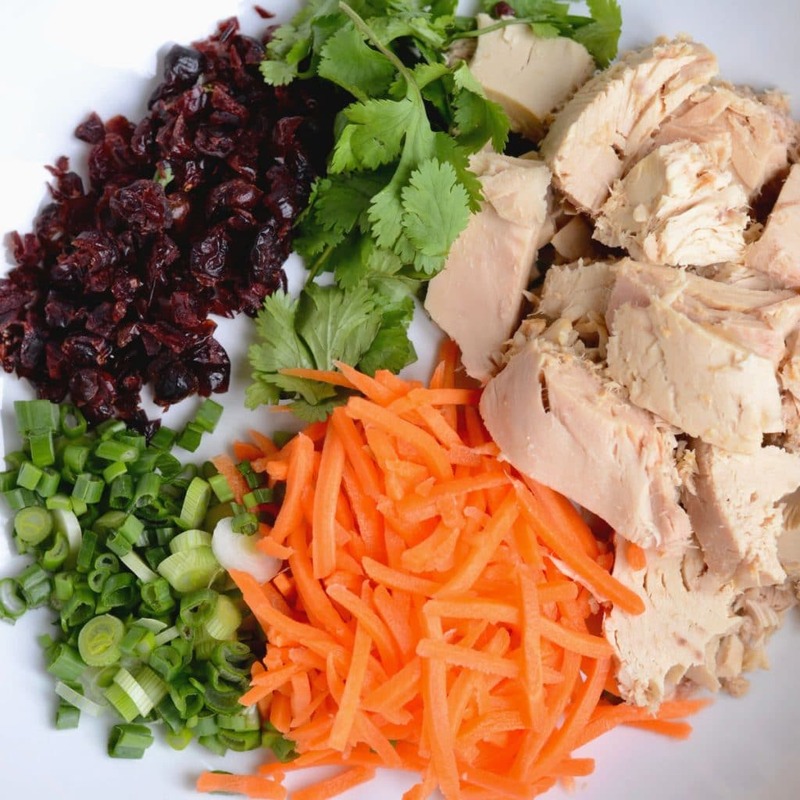 A nutrient-packed, healthy tuna salad recipe with a spicy Asian kick. Drain the tuna and flake with a fork in a medium-sized mixing bowl. Add the carrots, onion, craisins and cilantro and mix together. In a small bowl, combine the mayonnaise, soy sauce, chili powder, sesame oil, cayenne pepper, and minced ginger. Stir the mayonnaise mixture into the tuna mixture until well combined. *You may need to add a little extra mayonnaise depending on the type/brand of tuna you use. I had this yesterday at the Lifetime Cafe and was thinking—I need to figure this out. Thank you! 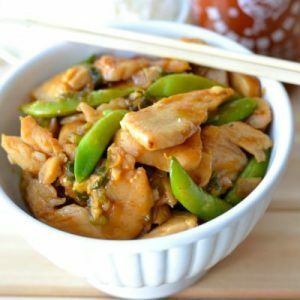 This is a perfect recipe to mealprep for workday lunches. And so healthy!